Once people get used to maintaining a budget, they might wonder how much more they can do. From planning out yearly expenditures to predicting paychecks and tax liability, advanced budgeting gives people a leg up on their finances. People should make a list of the expenses they can expect to make on a yearly basis, and break them up by interval. By analyzing the average price of these purchases and their frequency, they can set aside room in their monthly or weekly budget to accommodate them. Many items on a simple budget (e.g. the water bill) do not need to be any more specific than they are, but others could use some detail. People often start out with a general budget for food, but find that vagueness makes it harder to know how much to plan. Advanced budgeting for grocery purchases might include a breakdown of food by type, such as dairy, meat, produce, staples, and more. An entertainment budget may contain details for dining out, going to the movies, attending sports games, or buying tickets for events. One semi-regular expense concerns the maintenance and upkeep of the home. Homeowners need to maintain the resale value of their homes for their own comfort and use, and should they eventually plan to sell the home. This may require a few percentage points of the home’s value per year. A savvy homeowner might make a list of all the home improvements or updates they intend to make over the course of the year, and break them up by season. By planning this ahead of time, people can minimize how much they are spending at once, and make sure they have time to get it all done. Plenty of people like to pay too much in withholding each year so they get a big refund when they file their taxes in the winter or spring. However, many financial experts stress that this is not the most effective method for managing a person’s income. A large tax refund each year is simply an interest-free loan that the worker could be using each month in a higher paycheck. People who use tools, such as the IRS withholding calculator, to estimate how much they should have taken out, can better prepare for their tax liability at the end of the year. A raise, a bonus, or even a change in the tax code could affect a person’s paycheck. Guessing how it might change is for rookies. Calculating the new amount allows employees more information about how much income they have to spend each month. People who have a fair degree of patience and comfort with formulas can use IRS Publication 15 to figure out how much will be withdrawn from the new amount. This allows them to correctly plan for a new paycheck. 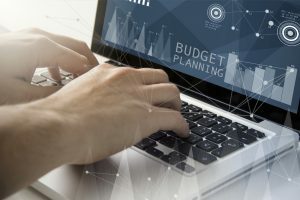 Building a detailed budget takes time and expertise. After someone gets the basics, they need to keep progressing to make sure they cover everything. With these tips, savvy people can make more use of their money, and have a better idea where it is going.